Sixteen members of the Club met in pouring rain to start the walk from Connaught Gardens. 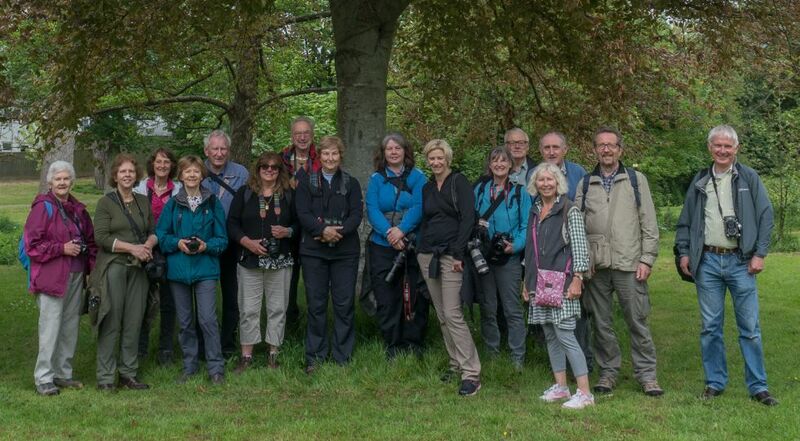 The walk was to enable members to socialise, to walk along pathways off of the beaten track, to get an insight of the history of the town, and to take photographs for the proposed club calendar, as well as to exercise. The first stage to Sidford took three hours taking in amongst other locations, The Gardens, Esplanade, The Church, many historical houses, and The Byes. After lunch at The Blue Ball Inn members continued via Fortesque along a series of alleyways to Icehouse Lane, some members leaving then to return home. Finally four intrepid photographers continued over Bulverton, through bluebell woods across Mutters Moor back to town completing the eight mile walk by 17.00 hours. The weather was not ideal for photography and although the rain stopped soon after leaving Connaught Gardens it remained overcast. This did not deter members from taking photographs, the main task for the organiser was in trying to wrench the photographers away from their subjects. Two more walks are planned for August and September, locations to be notified to members nearer the time.